The kiwi dollar is largely muted after the June 2017 quarter current account data. In June 2017 quarter, NZ’s current account deficit narrowed to 1.6$ billion. Stats NZ said, New Zealand’s goods and services balance was a surplus (we exported more than we imported), but the deficit in the primary and secondary income balance means the overall current account balance is a deficit. 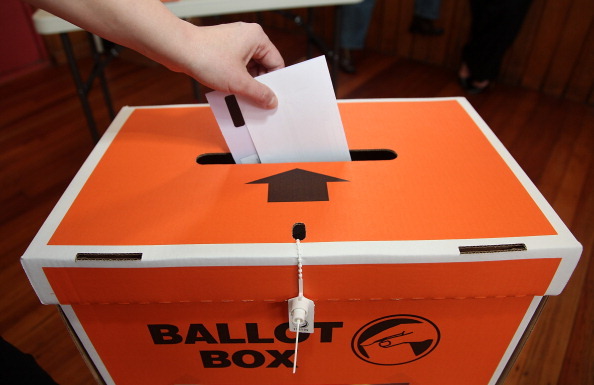 The primary risk to NZD is general election will be held on Saturday 23 September 2017. 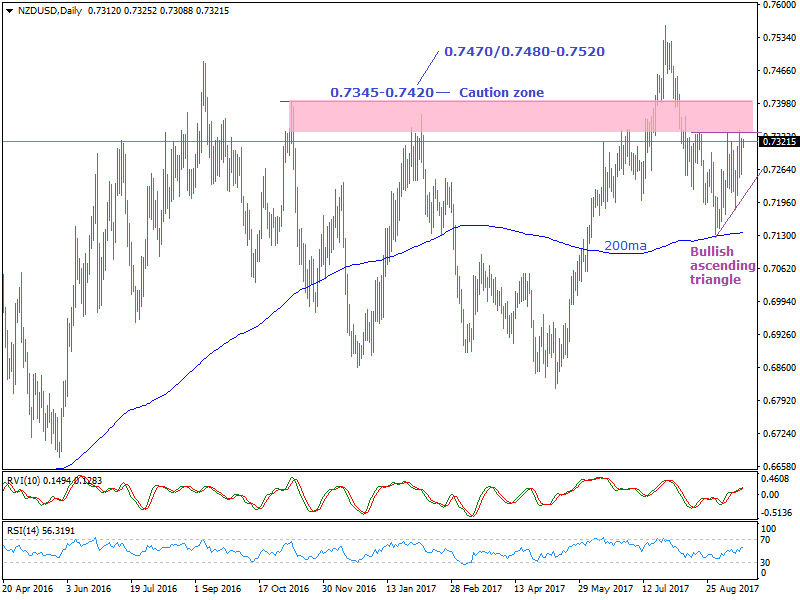 NZDUSD re-tested 200MA and rebounds 50.0% (0.7557-0.7143 correction). It has potential resistance seems between 0.7345-0.7400. If propel above 0.7425 the relief rally will extend to 0.7470/0.7480 in the near term and 0.7550 in the medium term. If fails between 50.0%-61.8% (0.7557-0.7143 fall) we could confirm the formation of the right shoulder. In this case, 0.7250, 0.7200 and 0.7150 expected in the near term and 0.7000 in the medium term. The daily RSI and oscillator appear bullish. Today in Asia trade (9.40am, AEST) NZDUSD rose 0.06%, trading on a verge of a bullish ascending triangle spotted on the daily chart. On the NZD crosses, we repeatedly forecast GBPNZD bullish reaction. We still believe more headroom available. NZDJPY and USDJPY themes favors bullish. Cable recovered 100pips from intraday low.